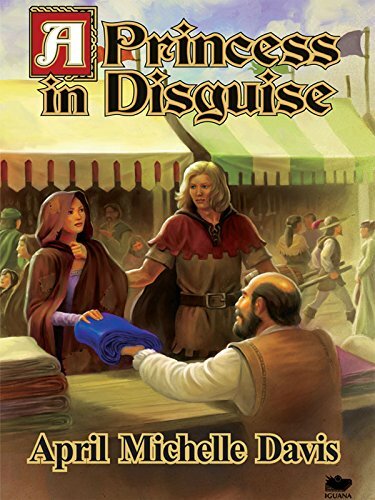 A Princess in Disguise: Margaret, Eleanor and Katherine are three princesses whose mother disappeared in mysterious circumstances. As their 16th birthday nears, their father the king is planning a ball at which he will name each girl’s future husband. While Eleanor and Katherine are ready to comply, Margaret does not want to marry unless it is to a man she loves. Margaret runs away from the castle, manages to be taken on board a ship, and sets off in search of her mother. Princess Margaret’s voyage is one of discovery and growth. She learns what all of us should learn: that justice and mercy are more important than privilege; that love takes many forms and appears in the most unexpected places; that a young woman is much more than her appearance and her social status. Princess Margaret is a young woman that most girls will be able to identify with. She flouts social customs and takes her own road to independence and happiness. Readers will appreciate her courage in abandoning an arranged marriage to seek love. At first this is the love of her mother who disappeared when Margaret was just a baby. But, as Margaret comes to discover, love can include love for one’s country and people, love for a man, and love for the woman who, though not her mother, was always there for her. This important lesson is given through Margaret’s adventures on Huntley’s ship and through her increasing awareness of the world around her. Ms. Davis has given readers a lesson without actually teaching. My favorite part of the book was the ending. In most “princess” stories, Huntley would have turned out to be a disgraced nobleman (the prince in disguise) and the two would have lived happily ever after. Ms. Davis avoids this clichéd ending and shows us Margaret becoming queen and, we hope, maintaining the ideals she had as a young girl. One thing I found disconcerting was a lack of awareness of how much time had passed during Margaret’s voyage. In Chapter 7, Margaret writes in her diary that “In these months…” but no where in the text is there an indication of so much time passing. Ms. Davis’ book should be marked as a must-read for young adults, both boys and girls. It is a delightful book full of adventure, humor, and important lessons for all.